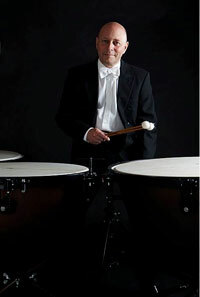 As timpanist with The Academy of Ancient Music and The London Mozart Players, I have played and endorsed Lefima products for several years. As the UK distributor for this dynamic company I am delighted that such organizations as the London Symphony Orchestra, the Royal Opera House Covent Garden, the BBC Philharmonic, the BBC National Orchestra of Wales, the Royal Scottish National Orchestra, Glyndebourne touring and the Irish Chamber Orchestra alongside many respected players from the freelance world are now choosing Lefima equipment and accessories. The Royal Academy of Music, the Royal College of Music and the Royal Scottish Academy also recognize the superior craftsmanship and versatility of Lefima equipment. Currently you will find a selection of Lefima orchestral products on this website. We will soon have a complete catalogue available for download. Please call or email for any further information relating to specifications or prices.